I loved staying here! The staff was so friendly and the whole hostel was very cute! The rooms are very nicely set up and you get to meet a lot of fun people! The bathroom is co-ed so don't be shocked but the showers are individual showers and there are individual toilets as well. I loved staying here so much! loved it! best part: location, plugs and lamps in each bed, comfy pillows. Those wanting a clean place to stay can count on this hostel to give you a good location for shopping and visiting museums. The staff is friendly and if you want to make your own meals the kitchen is adequate. No oven for baking stuff. I did not mind the Hostel. I would have preferred Air at night. There was not even a fan on in the middle of summer. The host of Los amigo was awesome 😊 He was very kind. And I emphasize on a location of hostel. It was awesoooooooome !!!! Near the Opera station and Sol square. 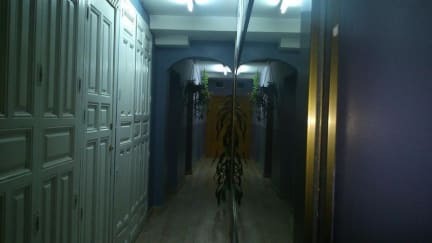 If you want to find the hostel which located neat Sol , it will be the best choice. The bathroom and air conditioner is little bit uncomfortable but it doesnt matter to use it. 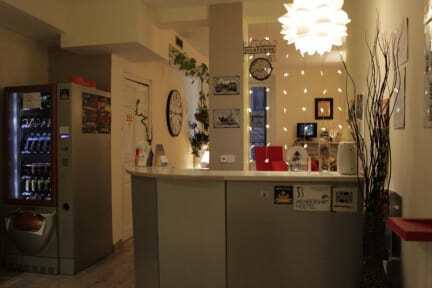 This is a really nice hostel in the center of Madrid. I only stayed for a night in a private room but having my own bathroom is always amazing. The bed was nice and the room was quiet. Staff is nice, but not really helpful. Showers were cold. Everything else was good though. Amazing location! Really couldn't be better. No real common area or kitchen. Staff is polite but not particularly welcoming. There weren't many outlets in the rooms but the room was otherwise comfortable. Overall ok experience. Definitely not the worst. Pretty average experience - only stay here if you need a bed. Staff straight up used the card id put down on the booking when I got there instead of asking how I'd like to pay (was planning on cash), didn't tell me check out time, breakfast time, tell me where bathrooms were etc. Not very helpful at all. Bathrooms were also quite gross average, as were the beds. Good location though so it wasn't all bad. Just not great.